Brain-powered play is a powerful tool we use to teach a child with attention difficulties to improve their attention. Zip and the Misty Mountain is a game for 6-12 year olds. 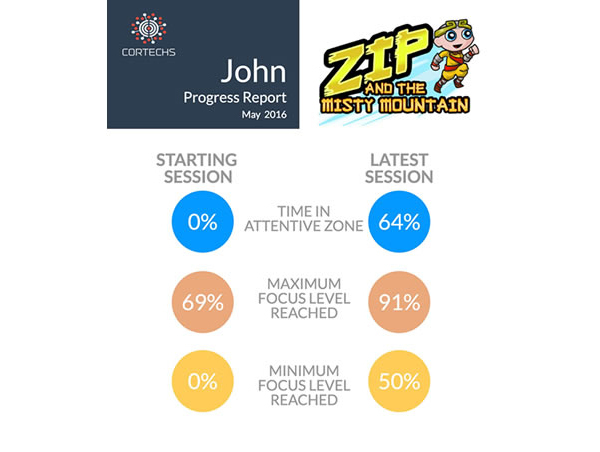 With Zip, children use their brainwaves to learn how to master their powers of focus to help Zip reach the Grand Master at the top of the mountain. The more they stay in the attentive zone, the further they can progress through the game. Purchase your Neurosky headset with our Zip and the Misty Mountain game here and then download the game from the Apple store or from Google play. This brainwave-sensing headset is linked to the game via Bluetooth. The headset goes straight over the head and has an arm with a sensor that sits against the skin on their forehead. 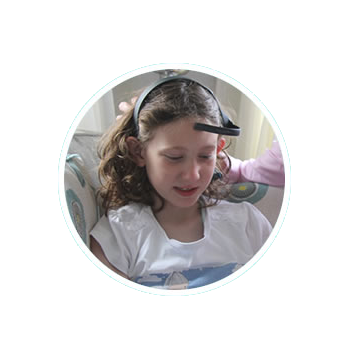 This allows us to use brainwaves as input to motivate the child to be attentive. By playing our game, the child is challenged to maintain their focus and they are rewarded each time they do. Our game uses neurofeedback and enables the brain to actually retrain itself to focus more. Attentive zones and focus meter are displayed on the screen showing the child how focused and relaxed they are as they play. The more they get into the attentive zone, the more they are rewarded to progress through the levels. ADHD is a disorder of performance and measuring and rewarding performance brings about improved behaviours. By monitoring brainwaves related to your child’s focus, Zip is rewarding each time your child focuses and he can fill his focus meter and clear the mist to wake the sleeping monks to progress through each level. This is based on neurofeedback which is scientifically proven to improve attention deficit behaviours. The long term outcome can be permanent because the child is learning to regulate their attention. When you purchase your Zip game and headset make sure you tick for brainwave data collection when you download your Zip game. Parents can use this to receive actionable feedback on what their child has learned and the improved attention behaviours observed with regular gameplay. This information puts the parent back in control to decide on what is best for your child.